London firm Benham & Reeves says its research also points to an average house price in London of £4.5 million by 2052. Ann Moir has joined Benham and Reeves as the new Head of its China Desk. Adam Seyman has joined Benham & Reeves Residential Lettings to head its Hampstead office. 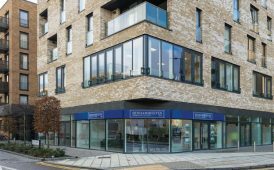 Benham & Reeves Residential Lettings continues its expansion, opening its 14th lettings branch on-site at the Marine Wharf property development in Surrey Quays, SE16.